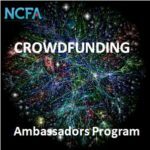 TORONTO, ON April 8, 2016 – The National Crowdfunding Association of Canada (NCFA Canada) today announced that David Sawyer, President of equity crowdfunding platform, ConsiderFunding, has joined the Association’s Crowdfunding Ambassadors Program. 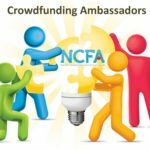 “David brings decades of experience in the exempt market and understands the commitment it takes to support the growth of equity crowdfunding and we welcome his voice and financing platform to the ever expanding Canadian crowdfunding market", said Craig Asano, Executive Director, NCFA Canada. Crowdfunding Ambassadors (CFAs) are leaders, educators, supporters and advocates of an inclusive and broad-based crowdfunding industry in communities across Canada. They are circles of influence and ‘go to resources’ for small businesses, organizations and investors to connect with, share and learn about crowdfunding via locally hosted events and initiatives. CFAs are specialists and plugged into an international network of shared resources, thought leadership, and industry professionals striving to cultivate and shape the future of crowdfunding in Canada and beyond. David brings a background of experience and over 30 years in the financial services industry to the Global Equity Crowdfunding phenomenon. As an entrepreneur and business owner, training and managing dozens of financial service professionals, David has a proven track record of exceptional investor relations and senior management. David is a recognized leader with multi-industry designations and accolades. David's experience in the Exempt Market during his career provides high-level insight and a wealth of knowledge to Equity Crowdfunding that is taking the world by storm. As one of Canada’s most advanced equity crowdfunding platforms, ConsiderFunding provides the resources and access for businesses and investors to learn, navigate, and participate in equity crowdfunding within the Canadian capital-raising ecosystem. ConsiderFunding deals with a broad range of industries, and as such actively engages with communities and individuals to establish and create new and exciting investment and business opportunities. To learn more, visit www.considerfunding.com.